This versatile cutsew 2-piece set is bursting with kuro cuteness and the sheer overlay makes it perfect for popular Harajuku styles such as Harajuku Punk, Goshikku and darker styles. 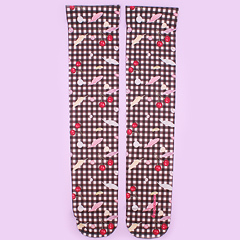 This chic and unique 2-piece cutsew by Listen Flavor is bursting with attitude for those with a edgy but feminine side. 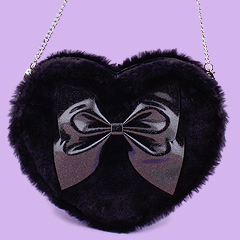 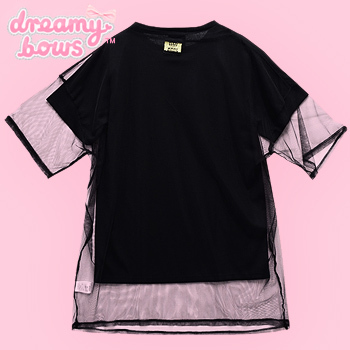 This top features two removable layers, the outer layer is a sheer black tulle overlay. 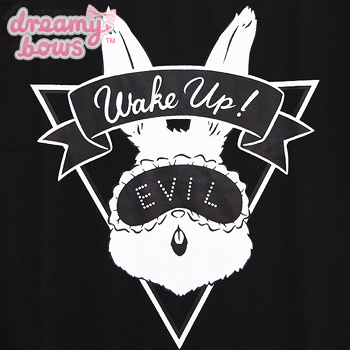 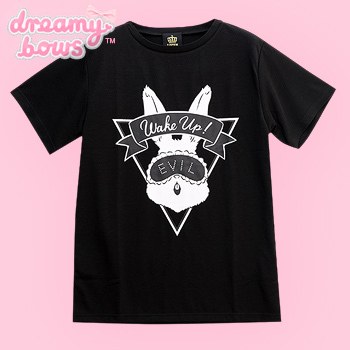 The inner layer is a cute cutsew with the design of a bunny with an 'Evil' eye mask on with the slogan 'Wake Up' in swirling text above its head. 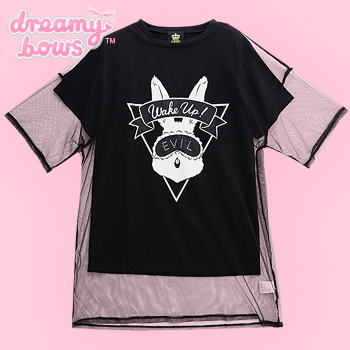 This cutsew would look awesome on its own or with the sheer overlay on top for a more unique and impactive look. 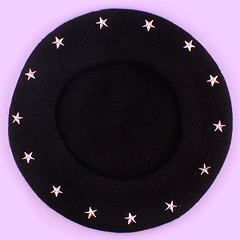 Measurements shows Inner Cutsew and Outer Overlay in cm.